With a stay at Red Roof Inn Chapel Hill - UNC in Durham, you'll be within a 15-minute drive of Duke University and Franklin Street. 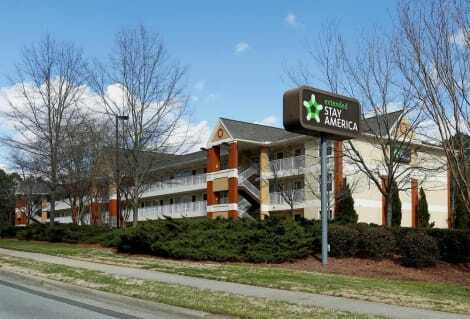 This motel is 4.9 mi (7.9 km) from University of North Carolina and 6 mi (9.7 km) from Cameron Indoor Stadium. Located a short walk from the campus of Duke University and Duke University Hospital, Millennium Hotel Durham offers the closest full-service lodgings to the campus. Guests are within minutes of some of the finest medical care and one of the top universities in the country. A shuttle runs to the hospital every half hour from early morning to late evening, and staff will make accommodations for other times. Amenities include spacious rooms, an indoor pool, whirlpool and workout room. Bel Gusto serves contemporary, health-oriented dishes inside or on the patio; and the Varsity Lounge & Grill is a great place to watch sports at this sports-loving campus. Nearby attractions include Duke University Chapel, Sarah P. Duke Gardens and Durham Performing Arts Center. Downtown Durham, home to the Durham Bulls of the Bull Durham fame, as well as restaurants and entertainment, is a short drive away. 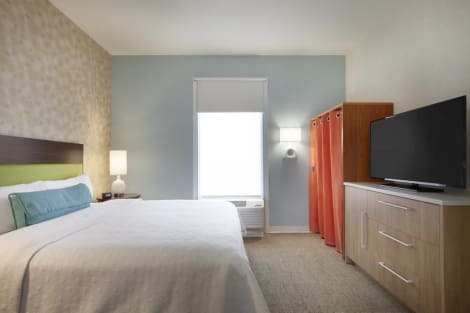 Just 10 minutes from Duke University and UNC, you’ll find our Home2 Suites by Hilton Durham Chapel Hill hotel. Located in a bustling retail and restaurant area, there are plenty of food and shopping options within walking distance. Our extended-stay hotel is a smart choice whether you’re in the area for work, medical care or a college activity.Start the day right with a free Inspired Table™ breakfast, including waffles, oatmeal, yogurt and breakfast sandwiches. Our unique Spin2Cycle fitness and guest laundry facility is open 24-hours so you can get in a workout and laundry whenever you have the time. Our Durham-Chapel Hill hotel also has a Home2Mkt convenience shop, 24-hour business center and meeting space for up to 14 people with various outside catering options available.Settle into a clean, non-smoking suite. Customize the space to fit your needs with the flexible ‘Working Wall.’ Stay connected with free WiFi, a media hub and a moveable work/dining table. Your full kitchen comes complete with a microwave, refrigerator and more. Ask the friendly front desk about a complimentary induction cooktop for your room. Bring your pet – they are more than welcome at Home2™. Located in Durham, Comfort Inn & Suites Duke University-Downtown is within a 10-minute drive of Durham VA Medical Center and Duke University Hospital. 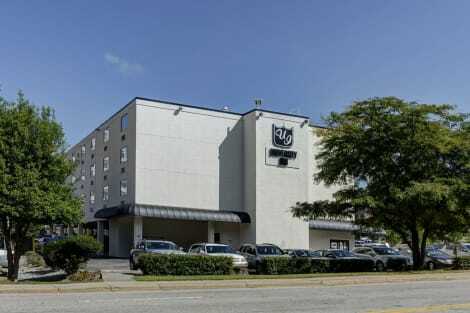 This hotel is 2.5 mi (4.1 km) from Duke University and 2.9 mi (4.6 km) from Duke Regional Hospital. Take advantage of recreational opportunities offered, including an outdoor pool, a spa tub, and a fitness center. Additional features at this hotel include complimentary wireless Internet access, a fireplace in the lobby, and a picnic area. Guests can catch a ride to nearby destinations on the complimentary area shuttle. lastminute.com has a fantastic range of hotels in Durham, with everything from cheap hotels to luxurious five star accommodation available. We like to live up to our last minute name so remember you can book any one of our excellent Durham hotels up until midnight and stay the same night.